Yesterday was canning day. Finally breezy (a little) finally cooler (enough) and with sufficiently diminished humidity that I got out in the garden and actually picked the beans, tomatoes and peppers that have needed picking for several days. 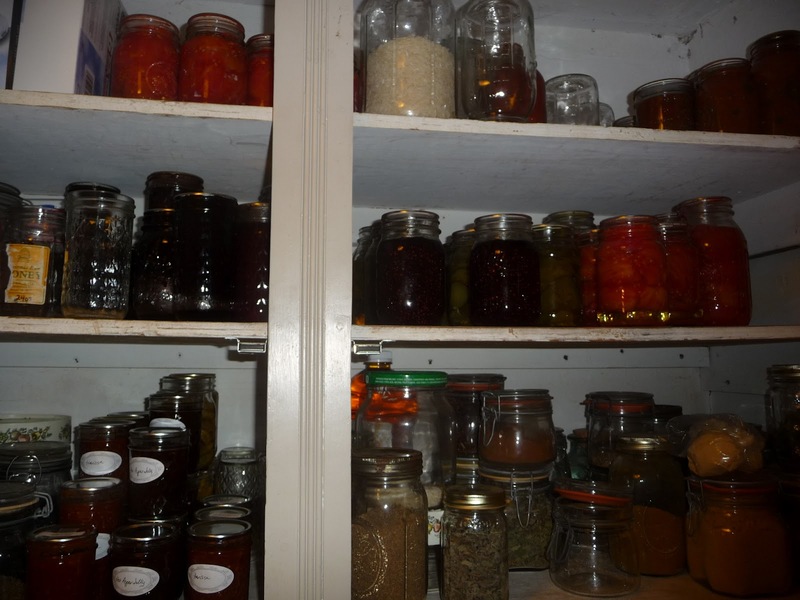 SO, I spent the day canning. Salsa, lemon pepper jelly (hot), red pepper jelly (ditto) and harissa sauce. 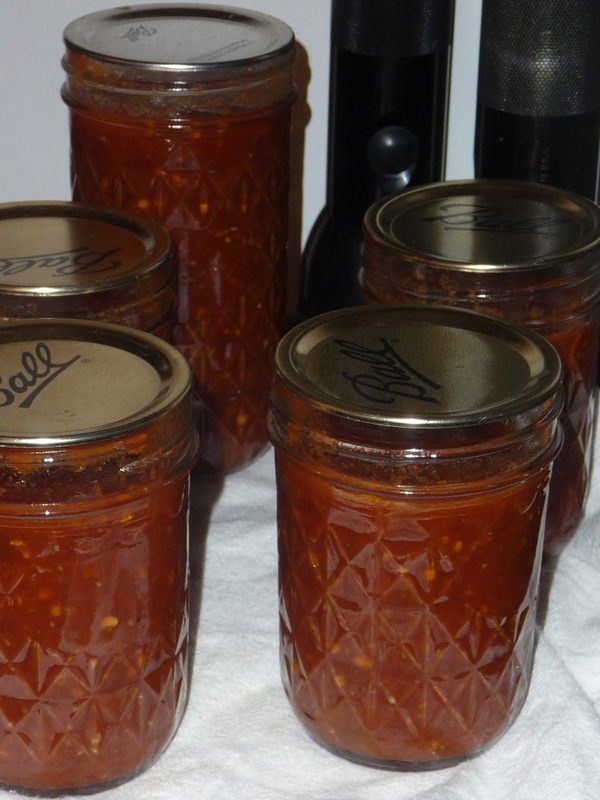 Usually harissa is a paste made of hot peppers and spices, but last year I tried a recipe in the Ball Complete Book of Home Preserving by Judi Kingry and Lauren Devine that uses tomatoes. My family enjoyed it a lot and requested it again this year. Sweet-hot with garlic, sugar, vinegar and spices, this harissa sauce is great on roast or grilled chicken, adds wonderfully to garbanzo-eggplant stew, Moroccan beef stew, is nice slathered on baked fish, whatever you can think of. Lemon pepper jelly, which I add to venison stew, goose stew, chicken stew, is also nice on cream cheese with crackers. I made it this year by adapting the recipe for pepper wine jelly in the Ball cookbook. (Each year can be different, depending on how much we liked the last batch and how well I remember the recipe I used that we actually liked). I use aji limon peppers aka lemon peppers grown from Burpee seed. The peppers are a beautiful lemon yellow, have a slightly smoky lemon flavor, and are slightly less than the heat of a jalapeno, which is about 5000 Scoville units. (Habanero is 300,000 to give you an idea). I add lemon juice and the grated rind of a whole lemon in making the jelly. The salsa relies on my Big Mama San Marzanos, hard neck garlic, Serrano peppers, cubanelle peppers, (which are sweet but not quite like bell peppers in flavor), cilantro, lemon basil, and a big onion, which I didn’t grow more’s the pity. I’d love to grow my own onions, but I use so many that I’m not willing to devote the garden space I’d need to supply us. Tonight I’m freezing beans and pickling just two jars with lime basil. I’ll take those to a friend who has a wine bar – barVino – in North Creek, New York in the Adirondacks. 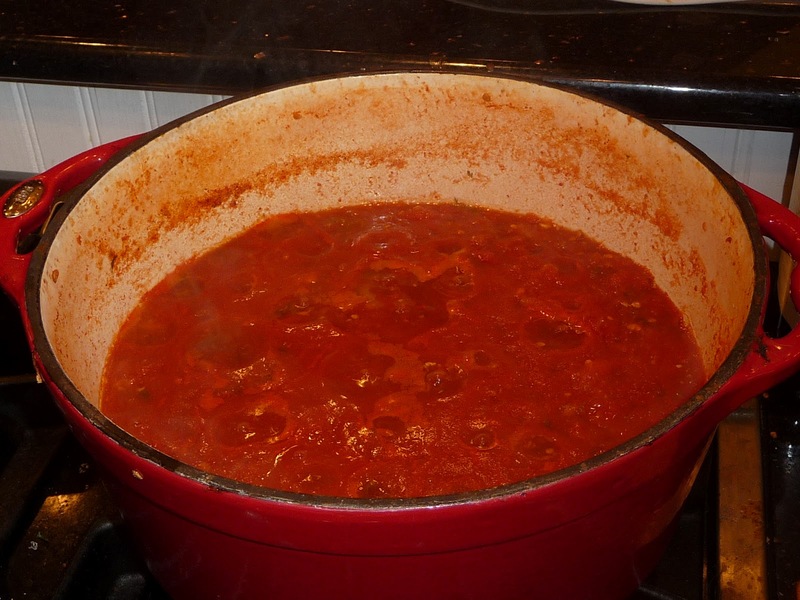 Tomorrow is spaghetti sauce day. Then I’ll fall back on my laurels a little and go back to work while the garden works to produce something else to eat and preserve. Final Note: Lest you think my garden isn’t filled with voracious caterpillars, blister beetles, stinkbugs, rabbits, dying cuke plants, pathetic parsley and more, I’m here to tell you it ain’t so. Martha Stewart I’m not. The garden’s a shambles, retrieved from utter degeneracy by my husband’s energetic weeding and assiduous daily attack on the Japanese beetles, who have almost finished their run over here on the Eastern Shore. But since the garden’s not on display (much as I’d love it to be picture-perfect) and since we’ve got full lives, and since the weather’s been so stinking (oh, excuse me, I mean uncooperative), the garden looks like the dickens. But it still produces; I just only let non-judge-y friends see it. If you’re a Martha Stewart clone, please judge us lesser mortals kindly. Sauce canning day is a two day event for me. 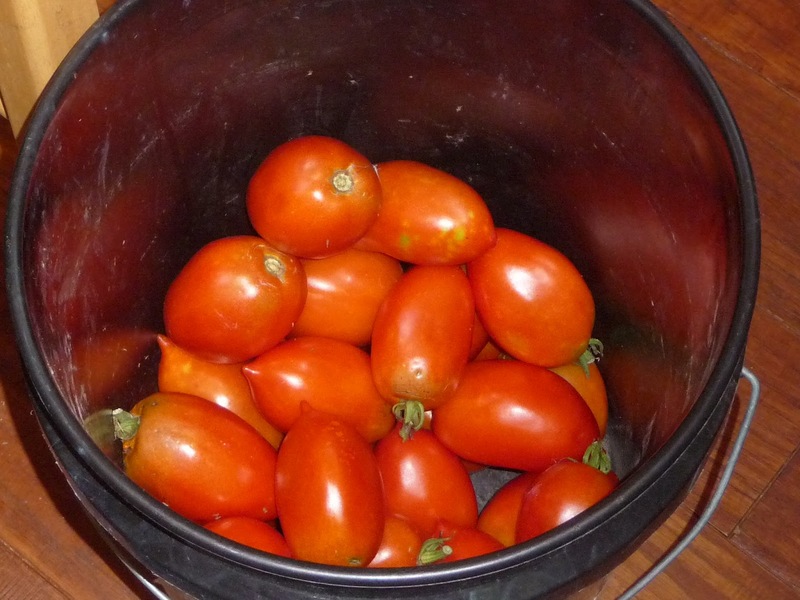 I arrived home from vacation and picked over a bushel of Big Mamas, New Girl, Brandywine and Martha Washington tomatoes from 21 plants. Filled a 20 quart sauce pan with 15 large cloves of hard neck garlic (German Red), 4 large Candy Apple onions and three bell peppers. That batch gets canned this morning and another batch started with the addition of some dried Ancho chilies for a little zest. I love summer's bountiful harvest which can be enjoyed on cold winter nights.